Introducing a simple, step by step system to dominate your opponents from the pitcher's mound. Discover The Fastest, Easiest Way To Develop A Jaw-Dropping Arsenal Of 'Go-To' Pitches... Get More Batters Out, And Win More Games For Your Team! There's more to becoming a great pitcher than sound mechanics, a blazing fastball, and a live arm. That's a fact. Truth is, the most successful pitchers at every level - from Little League to the U.S. National Team - have a knack for disrupting the timing of the hitter. They have a small (but proven) arsenal of pitches. And they understand what pitch to throw… when to throw it… and where to locate it. But with so many different types of pitches (and different opinions on how to throw them), it's easy for coaches to get confused or discouraged. So if you're unsure about what pitches to introduce to your young pitcher… what order to teach them in… and exactly how to teach them, then please don't worry. The truth is, most amateur coaches have only a vague idea when it comes to developing a pitcher's arsenal. And with all the different opinions on the "right technique" for throwing a fastball, drop ball, or rise ball out there (not to mention concerns over arm health and safety) it's almost impossible to figure out on your own. The good news is - developing an arsenal of "go-to" pitches isn't as hard as it looks. With the right technique... the right coaching tips... and the right developmental drills... even the rawest beginner can become a dominant force on the pitcher's mound in no time at all. Read this simple report that reveals exactly what pitches you need to know and exactly how to teach them. 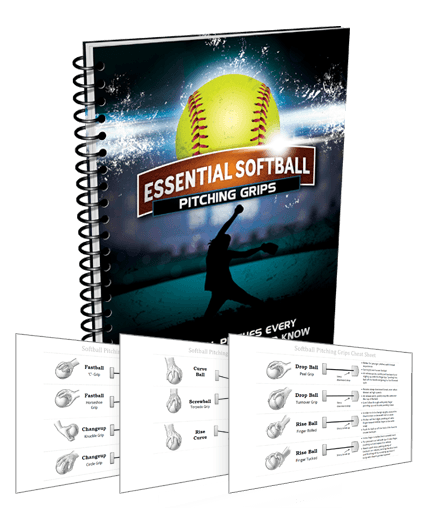 "Essential Softball Pitching Grips" takes all the guesswork out of teaching the fastball, changeup, breaking pitches and advanced pitches to your young pitcher. And it's all laid out in a simple progression you can use with players at any age, from Little League to high school and beyond. The report begins with a detailed explanation of basic pitching mechanics. You'll get full color photos and step by step instructions for each phase of the windmill motion... from Stance and Presentation... to Arm Circle and Stride... to Release and Follow Through. You'll learn exactly how to throw all the critical pitches young softball players need to learn... including the grip, snap, release, and body position to use for each one. Listen. I'm not just handing you a pile of pitching grip photos and asking you to figure it out on your own. To shorten the learning curve and make sure your players "get" this stuff immediately, every pitch is explained with "brain dead simple" coaching tips and detailed illustrations. So you can take this information to the field TONIGHT, and start seeing results with your kids right away. Sure, I've been working with pitchers and "coaching coaches" for a long time - but I still consulted EVERY pitching expert I knew before developing this step by step system, then personally tried and tested dozens of different techniques with our own players. Many of the techniques are based on the unique teaching methods of softbal pitching legend, Dee Dee Weiman. This system is jam-packed with PROVEN grips and techniques that work for all ages and competitive levels. And it's all simple, straightforward and FAST to learn, so you can start using them at your very next practice (tonight if you want). I've pulled together in one simple collection the most essential pitching grips you need. So your girls can rapidly improve their pitching arsenal... get more batters out... and win more games for your team! And it's all mega-simple to learn and easy to teach - no if's, and's or but's about it. The fun and satisfaction you'll experience, watching your pitchers rapidly improve... dominating their competition... and developing a love for the game that will last them a lifetime! Guarantee #2 - If you actually follow these techniques in practice and don't see an immediate improvement in the way your players hit, I'll actually refund TWICE your money. It's just 34 pages. Short enough to read in one sitting. 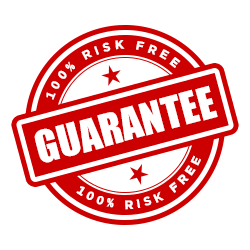 And, to make sure you really hit the ground running, I'm also going to give you this free bonus report worth $14.95 on it's own! To help you bring these techniques to the field in the fastest, easiest way possible, I've pulled together this collection of Pitching Grips "Cheat Sheets" just for you! Each one uses professionally designed illustrations to show you exactly how to grip all the Core Pitches, Breaking Pitches, and Combo Pitches you'll learn! You can print them out for your coaching binder, giving you an easy-access reference that's perfect for tonight's practice! Or you can hand them out to your pitchers (or their parents) for softball "homework" they can practice at home! No matter how you put these cheat sheets to work, they're guaranteed to save you loads of time and energy on the field, and help your pitchers master these techniques faster and easier than you've ever imagined before! Click the Add to Cart button below to get instant access to "Essential Softball Pitching Grips" Risk Free for just $7. YES, I want in! 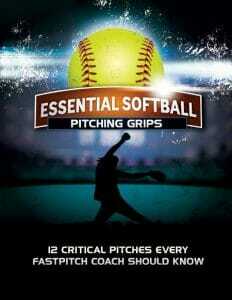 I want access to your "Essential Softball Pitching Grips" eBook, plus the Grips Cheat Sheets. Please give me INSTANT access to this step by step training system right now! Your report is waiting for you to claim it. Just $7 gets you instant digital access so you can start using these drills tonight. I've already done the research... spent the time filtering out what doesn't work… and compiling it all into this incredible "best of" pitching grip collection. There's no need to waste your time searching the web for unproven ideas, or spend hundreds of dollars on coaching clinics. Just download "Essential Softball Pitching Grips" and you'll get instant access to a complete training system you can start using today! Click here to get instant access to Essential Softball Pitching Grips now for just $7! PS - Remember, you get a full 60 days to review all the tips and see if they work for you. And if you're not 100% satisfied I'll send you DOUBLE your money back!